(Issue 29) We don't send spam. We won't give out your email address. THIS BURGER. ONE NIGHT ONLY. Yes, there’s a hashtag in its name. No, you shouldn’t let that put you off. 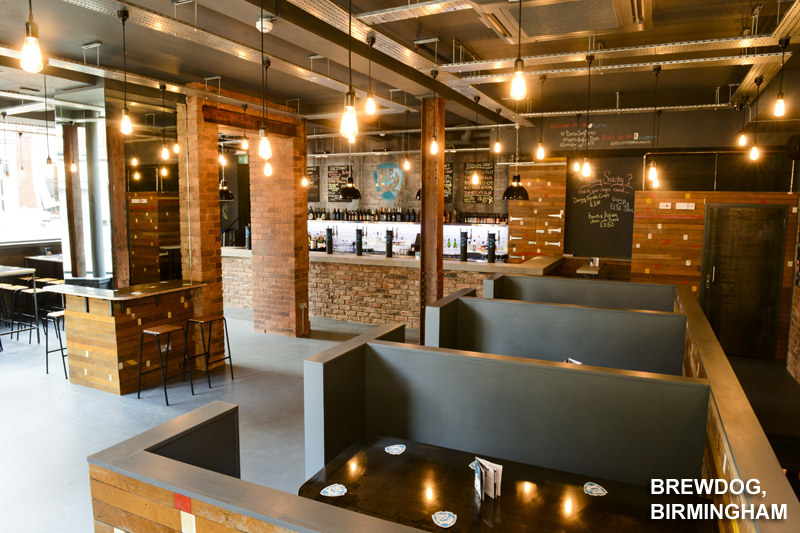 The #BrewBurger is an epic creation – a collaboration between fast-expanding London burger chain (but not “chain” in a bad way) Honest Burgers and Scottish craft brewery BrewDog, and it’s coming to Birmingham - one night only. Waddling into action, we've only gone and eaten it. 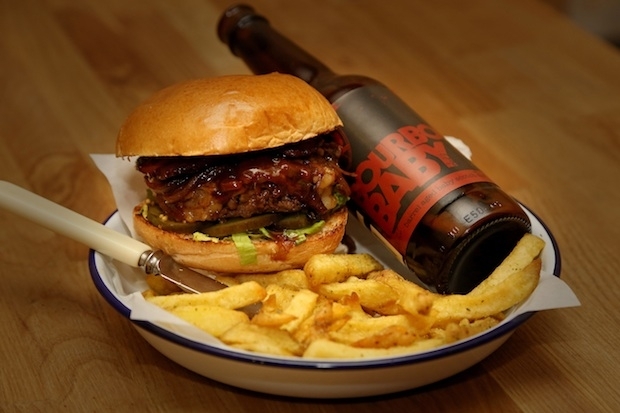 In your bun you get a beef patty, comte, bacon candied with 5AM Saint (an amber ale), Punk IPA fried onions (if you haven't tried Punk IPA it's one of the best beers we've ever had) and a BBQ sauce made from a reduction of BrewDog’s Paradox cask-aged Imperial Stout. The patty is utterly exquisite and, despite everything, it isn’t shouted down by the sweet, sour and smoky flavours of its accompaniments. There’s a paired beer too – Bourbon Baby, a bourbon barrel aged scotch ale – that’s strong and dark, but somehow cleansing at the same time. A perfect union of beef and beer. We like it, and we're in good company. 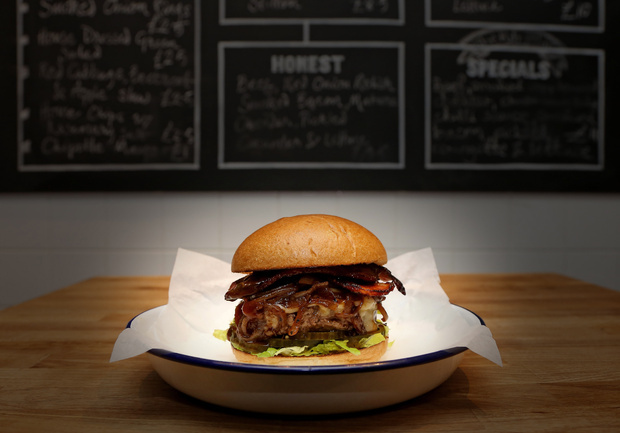 Jay Rayner describes Honest Burgers as "serious rivals for the title of best reasonably priced burgers in London" while the restaurant's celebrity fanbase includes Richard Curtis and David Walliams. Honest uses rare breed, aged beef sourced from Ginger Pig Farm, produces of some of the best quality meat reared in the UK. Between mouthfuls we managed to speak to Tom Barton, co-founder of Honest Burgers, who started making beef burgers for catering events out of a marquee in Brighton. "It was amateur," explains Tom "but it gave me a taste for working for myself. Before long, I was looking for restaurant opportunities in London." Tom moved to Brixton to set up his first restaurant and, three and a half years later, they're about to open their sixth, in Oxford Circus. Alas, this isn't a scouting mission for opening a restaurant in dear old Brum, but is a Birmingham branch of Honest Burgers a possibility? "Yes, definitely. One day we'd love to have a place in Birmingham, if we could. I'd be pushed to put a time frame on it, but we'd like it to happen." SPRING MARKET ARRIVES IN DIGBETH. JOIN IT. 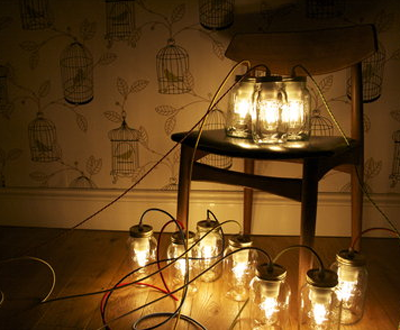 Ever seen the beautiful work of Birmingham-based interiors experts JamJar Lighting? You really should. They design, handmake and install stunning lights, their signature being, perhaps unsurprisingly, jam jar lights made from iconic Kilner jam jars. They'll be one of 50 handpicked artists, designers, food exhibitors and street food superstars present at the all new Spring Market at The Bond, Fazeley Street, Digbeth, tomorrow (April 12, 12pm - 6pm). Also present will be The Routemaster Bus Bar, an open top London bus serving incredible beers from the Midlands-based, family-run Shardlow microbrewery. 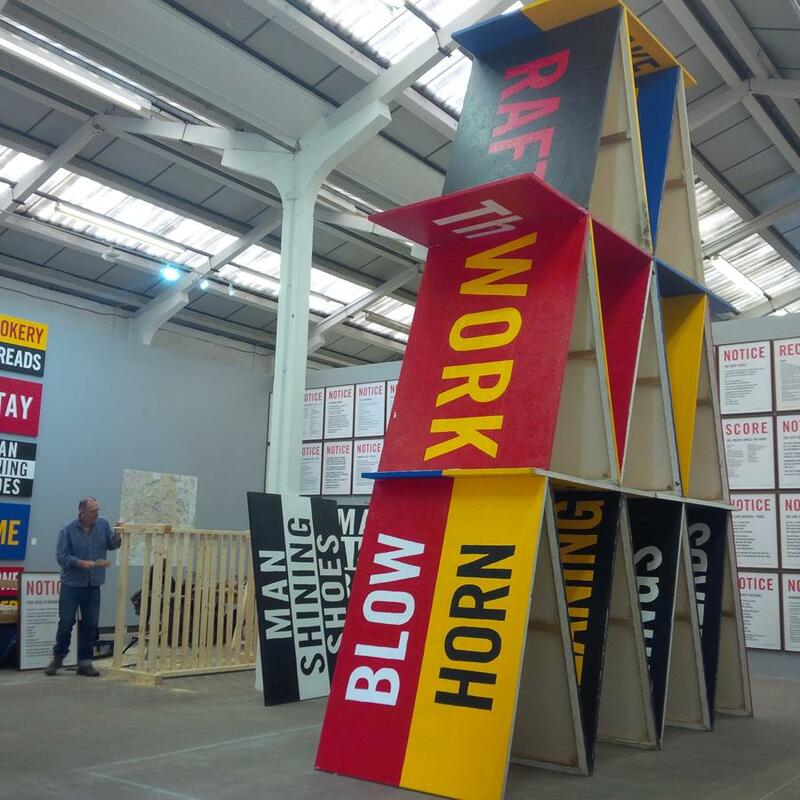 THIS WEEKEND, HELP BILL DRUMMOND MAKE A BED. 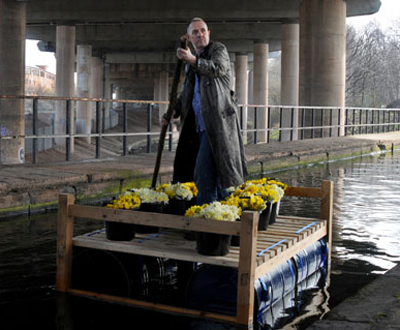 If you're in Digbeth for the Spring Market, tomorrow (and you really should be) why not wander five minutes up the road and say hello to Bill Drummond? The artist and former KLF frontman will be at Eastside Projects, making a bed. Literally. Hammer, wood, saw - making a bed. Don't try too hard to get your head around it. Bill's on the Birmingham leg of his 25 Paintings world tour where his warm, but weird exhibits have included him shining the shoes of strangers and baking cakes. 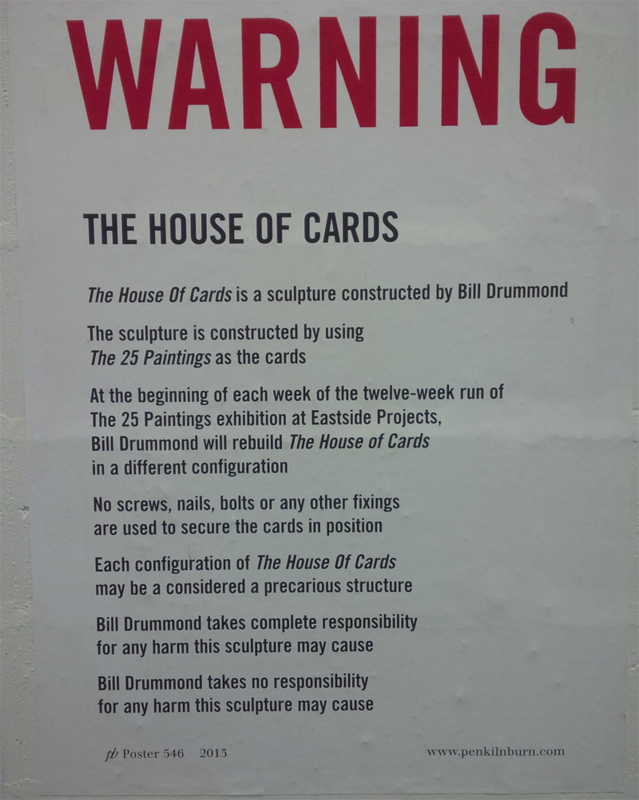 In fact, it's worth stopping in for his House Of Cards display alone. Find out what that is here and see it, and Bill making a bed, here. It's free. ONE FOR YOUR WALL, PERHAPS? Fell in love with Still Reflections 1, by leading UK impressionist, Carl Scanes, this week. It's just arrived at Whitewall Gallery and takes pride of place on their lower level. 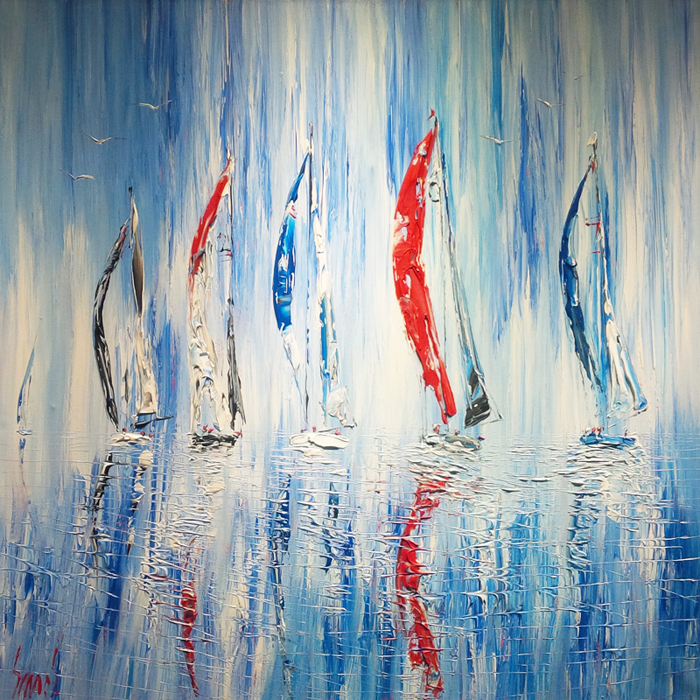 Honestly, if I had a nautical bone in my body (and £1620 to spare) it would already be on the office wall. Whitewall Gallery is ace right now, by the way. The artwork changes almost every week, so make it a regular stop off when you're in and around Colmore Row. Click the pic to see the detail.